I’ve been smacked by a friend for forgetting to put this news up here on my blog. My excuse is that I was traveling, but I’m home now, and so . . .
and Favorite Australian Romance Author. So here’s a picture of me, grinning like a loon on the night. It was a huge honor — these awards are voted on by readers — and the full list of finalists is here. 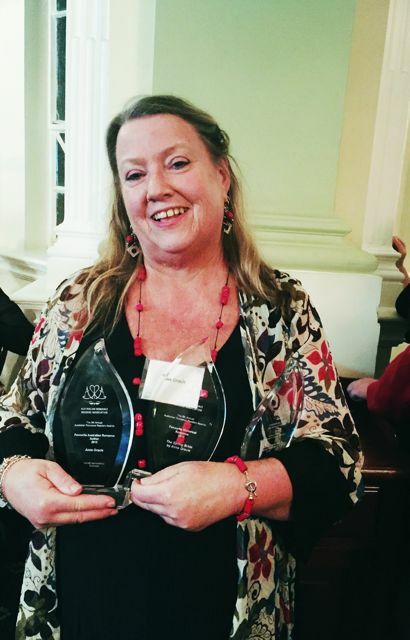 So it was a very exciting night for me and topped off a wonderful day where I had high tea with a bunch of lovely readers, and then the dinner. 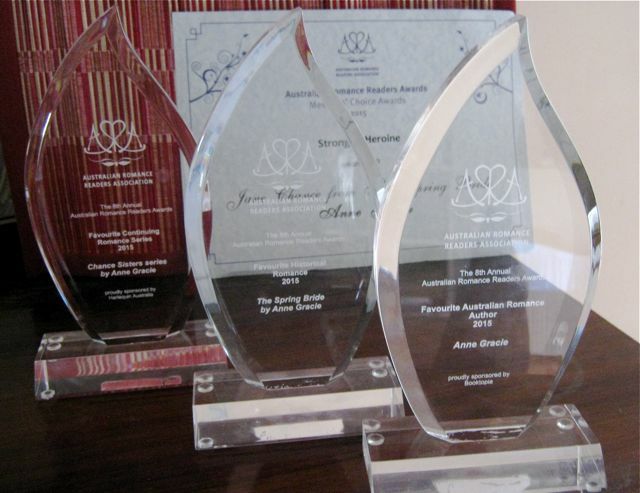 Thank you to ARRA for organizing these awards and events. Congratulations to all the other winners and finalists — the list of winners is here. 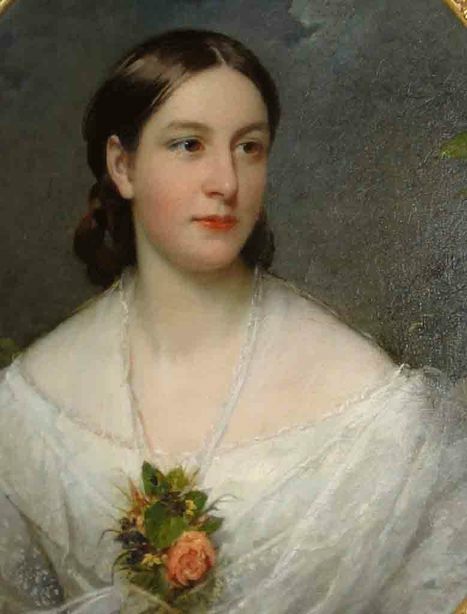 I’m up today on Women’s History month at Read-A-Romance, talking about the recognition (or lack of it) that women like Elizabeth Macarthur (her husband was on the Australian $2 note when I was a kid) and for that matter, my g-g-grandmother had. That’s Elizabeth Macarthur on the right, not my G-g-grandmother. She had an altogether stricter, tougher look. So did Elizabeth when she was older. How many other stories like this are there, where the women’s work is dismissed as “minding” or “looking after” something that belonged to the men, or or “staying home” while the men did the important stuff? And then there’s the story of why Boudicca (aka Boadicea) revenged herself so terribly on the Romans, who had refused to recognize her right to rule — and gave her and her daughters a lesson they’d never forget. Three days ago a friend gave me a bunch of fresh basil, straight from her garden. It was so gorgeous, so lush and fragrant. I would usually make fresh pesto with it — I love pesto— but instead I’ve been tossing the fresh leaves into salads and bowls of hot vegies. So yummy. I’ve had it for several days now and it’s still looking fresh and delicious. That’s what’s left of it now, in the photo on the right, after three days in my kitchen — still fresh and yummy. So I thought I’d share the trick I discovered a few years ago for keeping fresh basil fresh. Stick the stalks — as they come from the garden — in a glass of water and place a plastic bag over the top — just loosely. Don’t put it in the fridge — keep it on the kitchen bench. I don’t spray the leaves or anything. 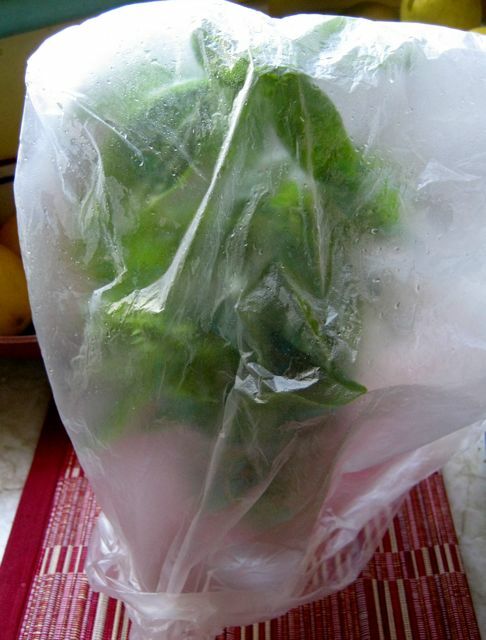 Any faint condensation on the plastic bag is from the leaves themselves. It also works with the basil you buy in bunches from the supermarket. Pop them in a glass of water and cover loosely with a plastic bag. I’m not sure how long it will last for — I usually eat fresh basil pretty fast. 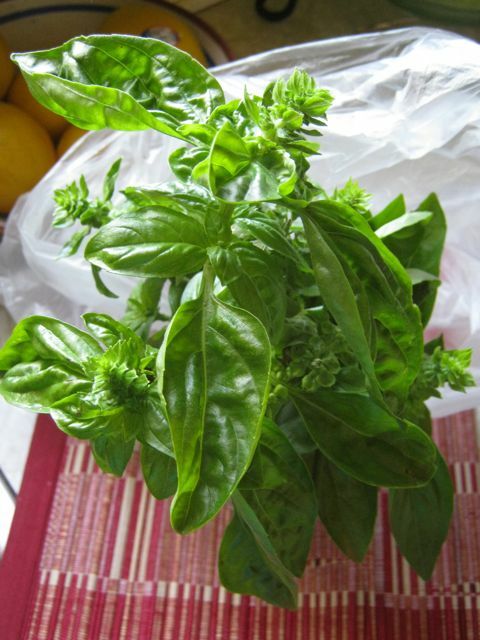 Are you a fan of fresh basil? How do you prefer to eat it? Copyright © 2019. Anne Gracie. All Rights Reserved.